Bardo Museum in Tunisia after the attack. A Tunisian court jailed seven people for life for involvement in two deadly militant attacks in 2015, one on a museum in Tunis and the other on a hotel in a Mediterranean resort. Other defendants received jail sentences ranging from 16 years to six months, state news agency TAP quoted court spokesman Soufiane Sliti as saying. In all, 51 suspects stood trial, with 27 acquitted, in hearings lasting 18 months. The assault on the Bardo National Museum left 21 dead, while 38 were killed in the beach resort Sousse, some 150 kilometres south of the capital. Islamic State claimed both attacks. 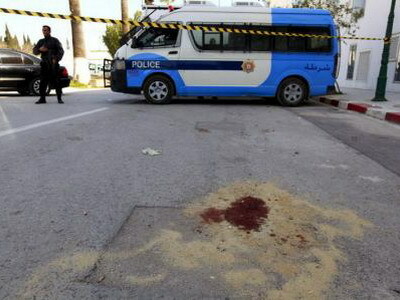 The massacres, within three months of each other, devastated Tunisia’s economy. Tourism is a major earner of foreign currency accounting for about eight percent of gross domestic product and saw major European tour operators leave. Tunisia remains one of the most secular countries in the Arab world with authorities estimating about 3,000 citizens have joined Islamic State and other jihadist groups in Iraq, Syria and Libya. Tourists have gradually returned as security was stepped up. Tunisia attracted a record 8.3 million visitors in 2018 as hotels filled with holidaymakers from Algeria, Russia and other parts of Europe.